Kombucha is essentially a product of fermenting tea with probiotics culture and sugar. The resulting drink would have a rather distinctive sweet, tangy and fizzy taste. I guess you could probably say it’s somewhat akin to a tart apple cider. With that in mind, brewers get creative by adding their own combination of fruits, herbs and teas to produce kombucha teas with head scratching flavours that tastes like health—in a good way. Being a microbrewery that produces kombucha in small batches, BELLY GOOD experiments with different recipes and fresh produce or ingredients that are in season. Besides that, they’ve also introduced kombucha teas inspired by soft drink flavours such as Coca Cola! 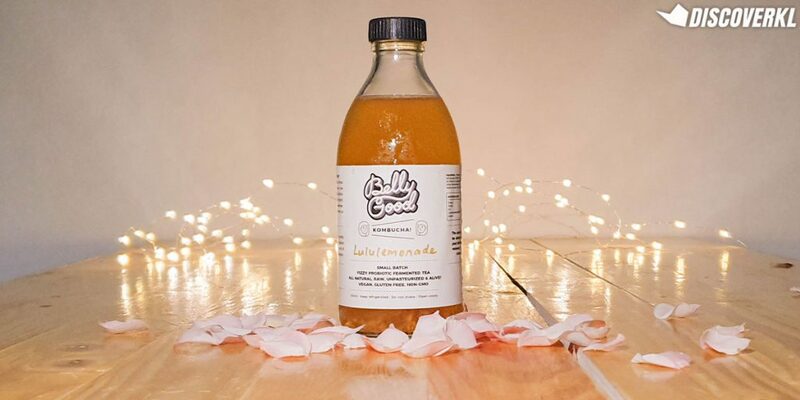 We tried the three newest kombucha teas from BELLY GOOD—here’s what we think of it! Containing green tea, the Greenade tasted quite crisp and refreshing. Not sickeningly sweet nor overpowered with the taste of sencha, the Greenade is one of their base teas. Base teas essentially contain fermented tea and kombucha. Editors Note: The article has been updated to reflect changes to the ingredients in the kombucha drink. You might also find little bits of SCOBY’s (Symbiotic Colony Of Bacteria and Yeast) in the drink but don’t be alarmed. They have a pleasant nata de coco texture to it. If you’re curious about what it is, read about kombucha in our guide! What’s in it: Filtered water, kombucha culture, fair trade evaporated cane sugar, organic rambutan, semi-fermented green tea. Booch this up: Add it to a smoothie or a fruit juice for an extra dose of healthy probiotics! Sporting a deeper golden hue, the Lululemonade is a green tea-based kombucha infused with ginger and lemon. It’s basically a powered up version of the Greenade. It’s a little more tart with a tinge of fragrant ginger spice to the taste but still rather refreshing. We’re surprised at how the fizziness was maintained in the tea even when reopening it after a week. What’s in it: Filtered water, kombucha culture, fair trade evaporated cane sugar, lemon, ginger, semi-fermented green tea. Drink this if you: Enjoy your mom’s homemade tongsui with ginger as there might be little chopped bits of ginger in the bottle. Booch this up: Add a shot or two of gin for a healthier gin and tonic! Or to an apple, celery and cucumber smoothie for a subtle spiced tangy taste. Yup, you read that right! Kombucha that tastes like Coca Cola, minus the intense sweetness. 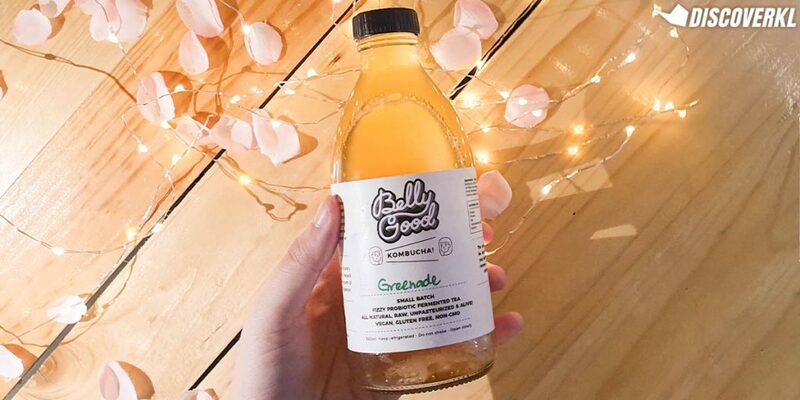 Inspired by the drink itself, BELLY GOOD wanted to create a drink that emulated the flavours and get the conversation going on healthier alternatives to the sugar filled native. 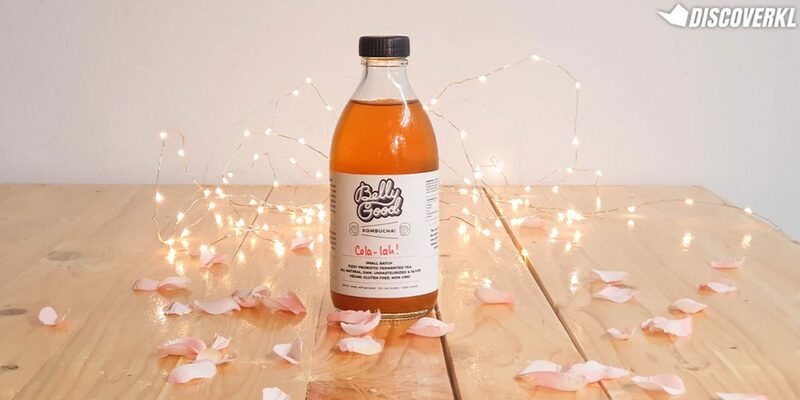 As Cola syrup is basically made from vanilla, citrus and spices, Belly Good’s R&D team found the right combination of nine spices, fruits and herbs to emulate the taste. And honestly, it kind of tastes like slightly, more tangy Coca Cola which is great! What’s in it: Filtered water, kombucha culture, fair trade evaporated cane sugar, Pu Er tea, orange, lemon, lime, cinnamon, cardamom, nutmeg, coriander and bitter orange peel. 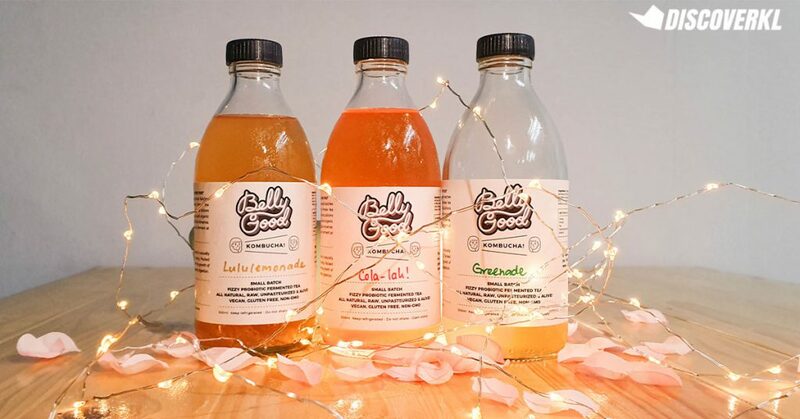 While we’re not regular kombucha drinkers, we did enjoy these three flavours by BELLY GOOD! They were refreshing and not too heavy on the taste but still carried a strong distinct kombucha flavour. Be sure to check their expiry dates and store them in a cool place before consumption as they contain live probiotics that would not survive extreme heat. Get these bottles of probiotic goodness on their website or at Hot Yo Studio and Bee Q Nails. Tip: Be careful when opening these bottles (even while reopening them after a few days) as the gas accumulated inside would result in a rather sharp pop.